Guava House is a stunningly designed and peaceful family Retreat, perched amongst mountains of Sri Lanka’s Central Province, just 3 hours driving time from Colombo and one hour from Kandy. This true architectural gem is situated on top of a hill, amongst 3 acres of it’s own private land and with views of the valley below (in one direction) and Bible Rock in the other. 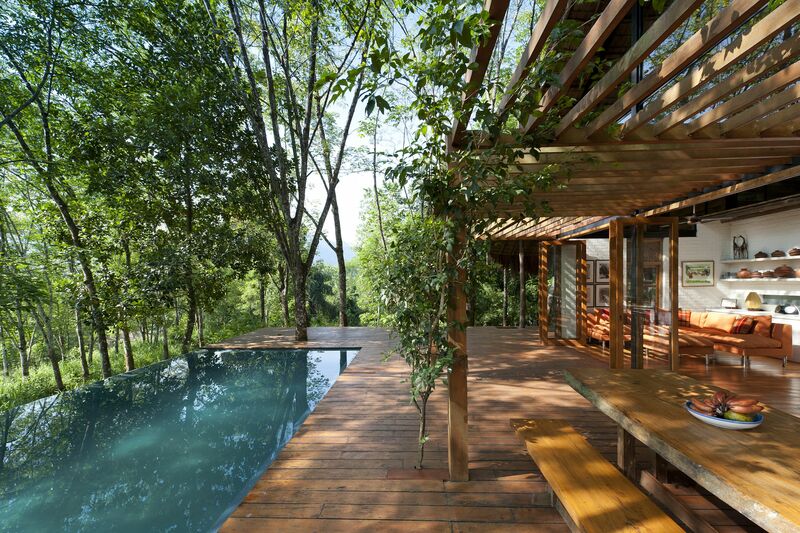 It has been recently designed and built but offers many of the traditional features of village living, amongst the rubber trees and local fauna of a Hill Country estate. The attention to detail in the design & build of both the main building and the two elevated ‘chalets’ is second to none. Thatched roofs and open plan living areas create a sense of space, simplicity and freedom. All the views from both windows and doors have been carefully planned so that the unique position and perspectives can be enjoyed from all rooms. 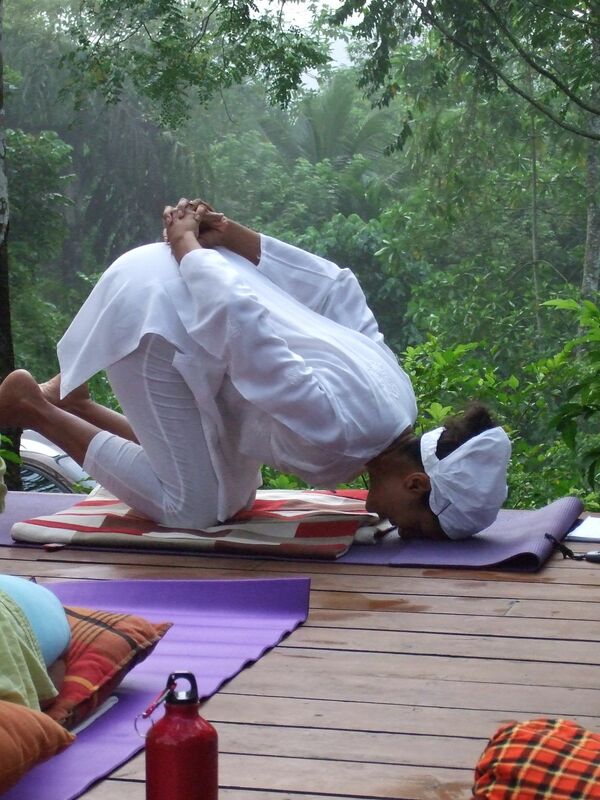 It’s a truly wonderful place to practice yoga. 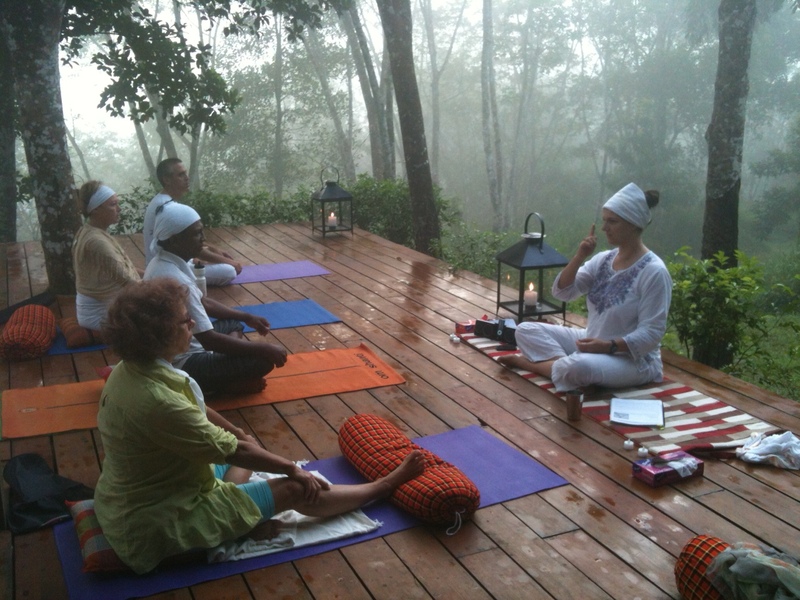 Every morning we were blessed to be able to practice yoga on the outside deck while we watched the dawn mist rise and absorb nature around us. Later in morning we moved to the other side of the house to the cooler environment to practice our pranayama (breathing class). the afternoon class we suspected that rain was threatening so we used the airy space on the mezzinine which also gave us a stunning outlook to the mountains behind. 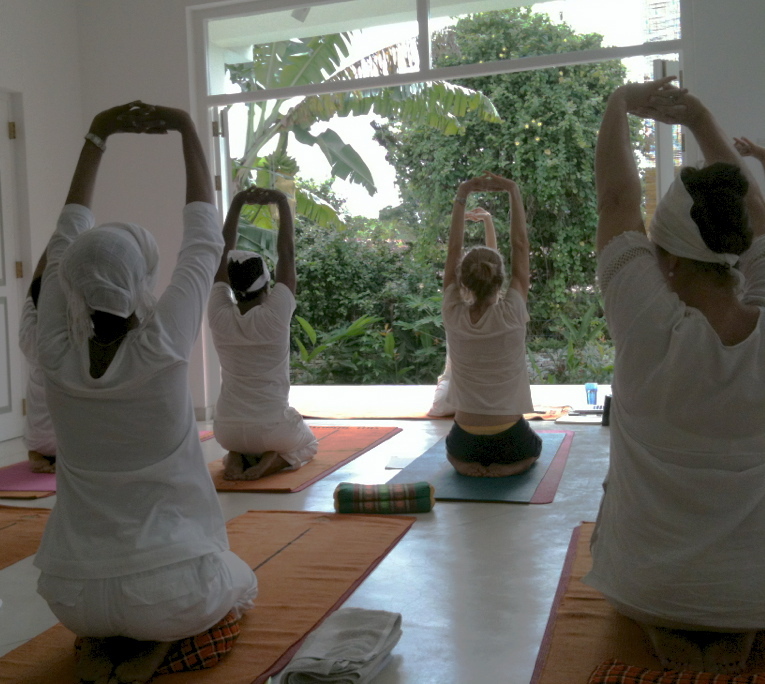 During our weekend Retreat we began with a Kriya to unblock the lower energy centres. This was followed by a very powerful mantra meditation to unblock all energy centres. The pranayama class taken by Shaunagh lead us through a series of breath work to clear our meridian channels, giving us more pranic energy, mental clarity and allowing mental thought patterns to change. In the afternoon we did a Kriya to elevate our energy and ended by dancing and feeling the heart of ourselves, the you within you. The next day we activated our ten bodies by once again working on the body’s energy centres from the lower to the higher ones. 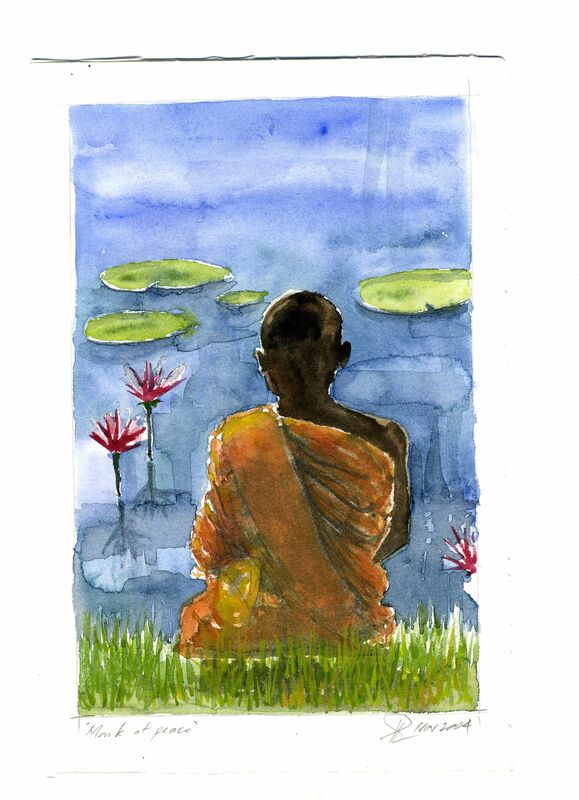 The Laya meditation used rhythm, mantra and breath to once again lift the energy. Mid morning we did some lovely partner work as we sang our electromagnetic field into Radiance with Ajai Alai. We ended our Retreat with the Green Energy Set which worked on our electromagnetic field, our heart and lifting our vibration frequency. The methodology was to get everyone to still their busy minds, then once they reached the state of zero they could feel the natural joy within themselves at their heart. This energy and joy was then spread through out their bodies and aura, until they were glowing. The motto of the Retreat was zero, connect, flow and glow. The vegetarian, menu was lovingly created and designed by master chef German Dimaano. German left Melbourne, Australia about 4 years ago to live and work in Sri Lanka. 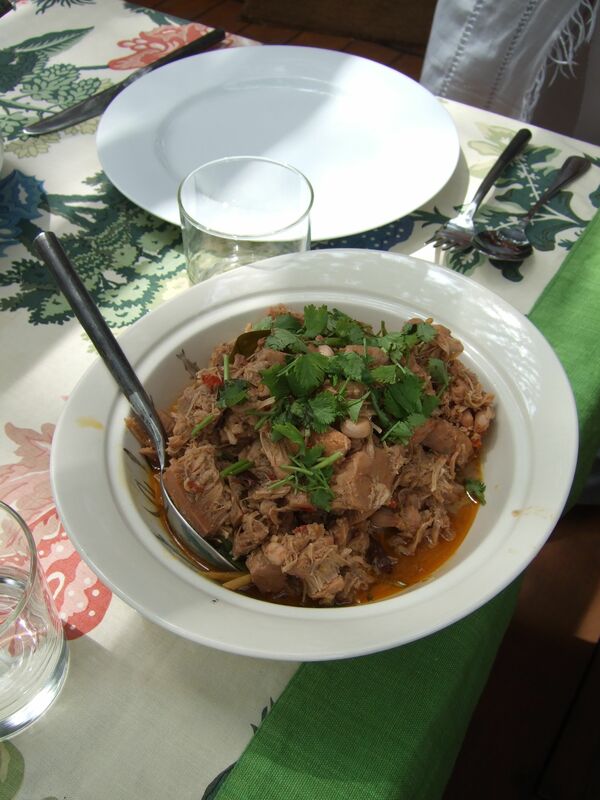 He created sumptuous raw salads, hearty soups and the “piece de resistance ” was a dish especially created for this retreat using jack fruit from the Guava House estate, and combining it with a classic Malaysian red curry rendang to create “polos rendang”. The meals were rounded off with sugarless cakes and coconut milk caramel. The food was fresh, raw, seasonal, dairy and sugar free. 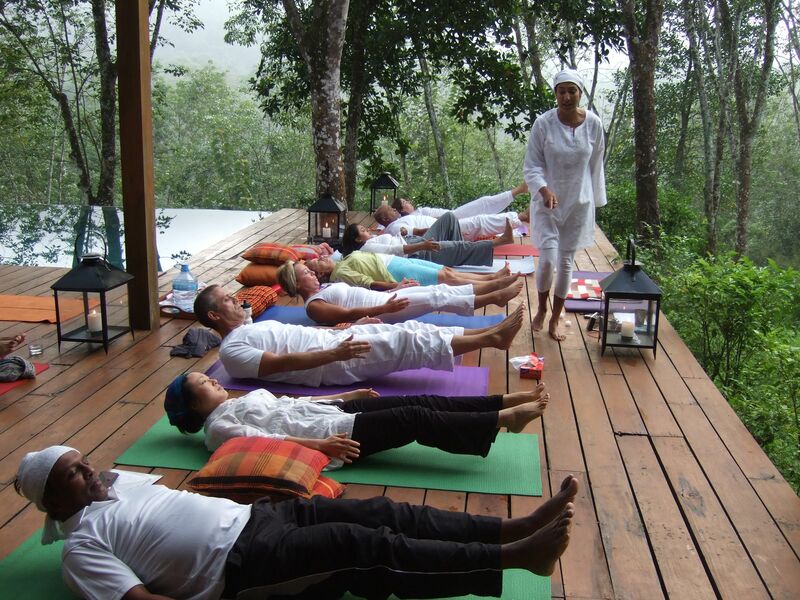 On Day 2 of our Guava House Retreat, just finished Alai Ajai meditation for the “Radiant Body”. We have 10 bodies. You can visualise your various bodies as layers of clothing. The physical body being the overcoat you wear for a lifetime. We know we have a physical body because we can feel it. Beside the physical body you have 3 mental bodies (negative, positive, neutral) and six energy bodies (soul, arcline, auric, pranic, subtle and radiant). When all your bodies are under your direction they produce a state of pure consciousness. This gives you the abiliy for you to see all events as the play of the Universe and recognise the Infinite in all. The group really enjoyed the partner meditaion. It was physically challenging and left us with a sense of connection with each other. 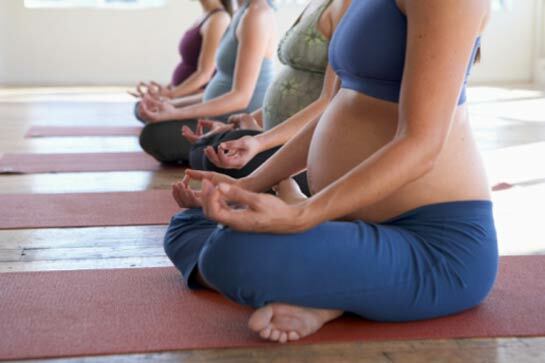 Join me today for a class working on our breath, and other gentle exercises to help in pregnancy and birth. 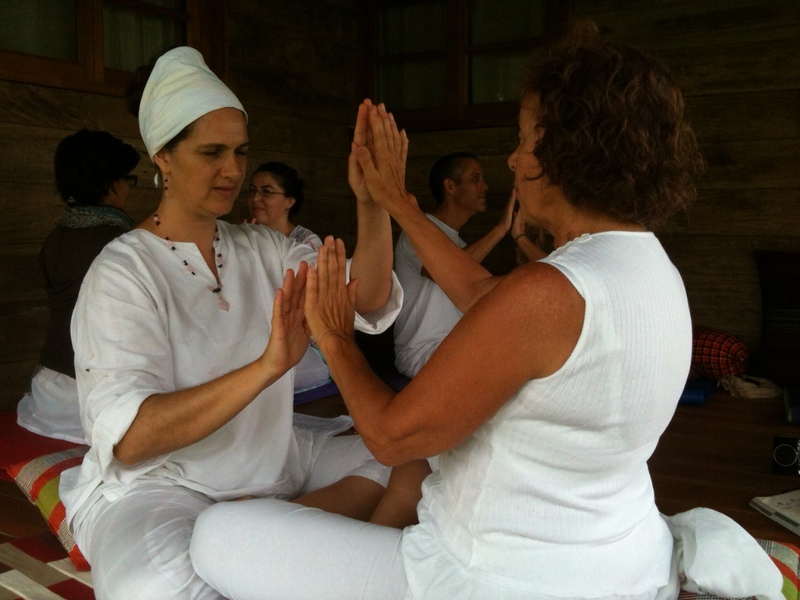 A FEW PLACES LEFT ON OUR RETREAT THIS WEEKEND 23-25th Nov 2012. On this Retreat you will experience the wonder and joy of you. Once you have had this experience as a touch stone your everyday life feels more fulfilled, not because you have achieved anything or pleased someone but just because you can relate to this joy in you and remember the feeling. You start to count your blessing each day, feeling gratitude for all life’s lessons because without them you would not be you. 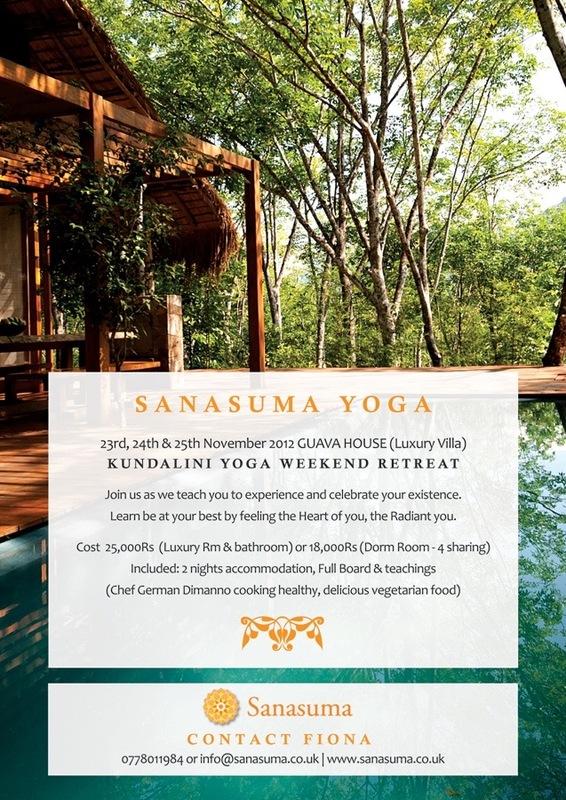 Join us and experience some of this joy, in the tranquil and uplifting surroundings of Guava House. I drove down last night in the mist to do a Teen yoga program with Borderlands. In the morning we walked up to an ancient cave where human habitation has been found dating back 32,000 yrs and did our yoga and meditation. The teens were tried after a 70 min walk to the cave but did really well getting into the HAR yoga aerobic set and Sa Ta Na Ma meditation. We all had fun in this amazing setting Wahe guru! 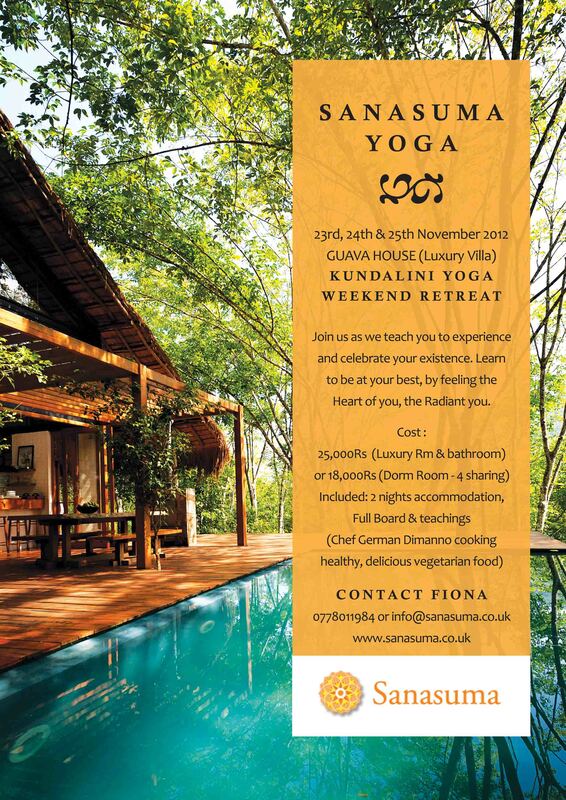 Join our November weekend Retreat that starts on Friday 23rd until Sunday 25th November. The venue, Guava House is beautiful. Set on a hilll surrounded by trees and mountains, with an infinity pool, beautiful scenic walks or cycle rides, when you are not doing yoga and meditation. Guava House is near Kegalle (approximately 31/2 hours from Colombo). You can choose from a luxury room inside the main house or a private bungalows all tastefully furnished with your own private bathroom and terrace, cost Rs 25,000 per person or a dorm room that sleeps 4,sharing one bathroom Rs18,000 per person. Included in the price is fullboard and teachings. If you are interested please email me at raymond.fiona@gmail.com. We only have 9 places for this Retreat.